The Faisalabad DRY PORT has now emerged as the biggest DRY PORT of the country (value & volume-wise) setup in the Private Sector and is doing a record business which is evident from the fact that FDPT handled export and import cargo containers worth Billions of rupees during the last 16 years terminating on 30th June 2010. This unprecedented growth reflects the heights of achievements of the Faisalabad DRY PORT which it attained during the period under review. This remarkable progress is attributed to the active cooperation and assistance of the Exporters/development is attributed to the active cooperation and assistance of the Exporters/Importers of the Faisalabad Region and the custom clearance facility at their doorstep. 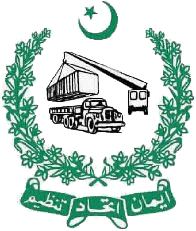 We like to highlight the facilities being provided by the FDPT to the exporters and importers which include the reduction in Dry Port Tariff, speedy transportation of export cargo to Karachi Port and prompt carriage of import cargo from Karachi to Faisalabad Dry Port, one window operation facility to get early payments of the duty draw back claims. The introduction of double-shift system early. The introduction of double-shift system at Faisalabad Dry Port has helped the same day custom Clearance of the export consignments and their expeditious transportation to Karachi Port. We have recently expanded the custom bonded area of Faisalabad Dry Port where spacious ware houses and other infrastructure has been raised with a view to cope with the growing rush of export /import cargo at this dry Port .we have also constructed the Custom Export Center at Faisalabad Dry Port where the custom clearance facilities are provided under one roof. To mention here that a multi story unique and modern office plaza at Faisalabad Dry Port has been constructed, Facing a lush green landscape and tasteful shower on its front, where the offices of FDPT and model custom Collectorate are located. 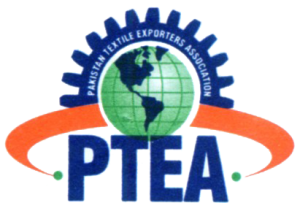 The above figures reflect not only progress and development made by FDPT, but are also reflective of the great confidence reposed by the business community of Faisalabad region and also clearly establish the geniuses of the demand of dry port has given a big boost to the industry and trade of Faisalabad and its adjoining areas, particularly the exports of textile from this region. We are happy to report this remarkable progress and are very grate full to Almighty ALLAH who has given us this opportunity and ability to serve the people of Faisalabad by establishing a business facility which was quiet necessary for the progress of the region. In our efforts we have been greatly helped and guided by our friends who are the trustees of the Faisalabad Dry Port as well as our friends who are the exporters/ importers and entrepreneurs who have always been cooperative and ready to guide us. We are also thankful to the Collector Customs and his staff at Dry Port also deserve my thanks and appreciation for working hard , diligently and round the clock to make this project a complete success. We hope that by the grace of Almighty ALLAH, we shall leap forward with a renewed confidence and utmost zeal. The establishment of the Faisalabad Dry Port, FDP is a landmark in the development history of the country. FDP Have C-TPAT certification. Copyright 2018 Faisalabad Dry Port . All rights reserved.